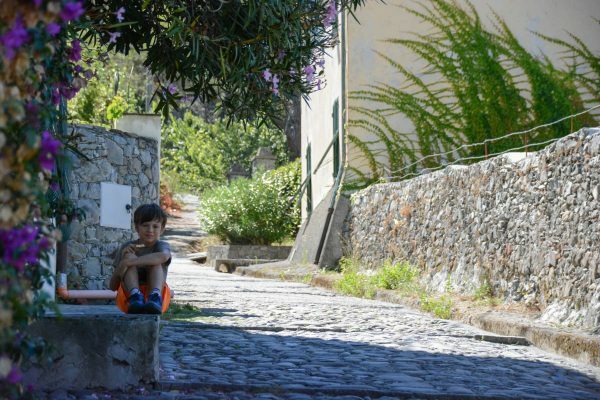 One of our favorite activity, that we love to share with our children, is discovering a new region or town in a slow relaxed way, getting lost along the paths away from the touristy hustle and bustle. Walking, hiking and cycling are a good excuse to spend time together, having fun, but also do some sport iall together. We therefore decided to visit Levanto, a small town located just near the Cinque Terre, a place where you can match the sea to inland excursions. We arrived in Levanto in the late morning and after grabbing a quick and yummy focaccia based lunch at Focaccieria Domé (located in Via Dante 18, one of the main streets of Levanto), we decided to explore this Ligurian town starting right from its coast, along the walking and biking path Maremonti, connecting Levanto to Framura. We rented four bikes from North Shore Cicli Raso (Via Giuseppe Garibaldi, 63) and we headed towards the sea. The biking path, built on the old railway line between Levanto and Framura, is six kilometers, flat, easily walkable with small children path. Generally the tour from one village to the other does not exceed half an hour, but it took us a lot more! We found it impossible not to stop on the various waterfront terraces cutting the ancient stony tunnels. The Maremonti path starts at the end of the bay of Levanto, passes in front of the beach in Bonassola and reaches the old railway station in Framura. Stopping along the way to visit the picturesque fishermen village of Bonassola is really worth it. 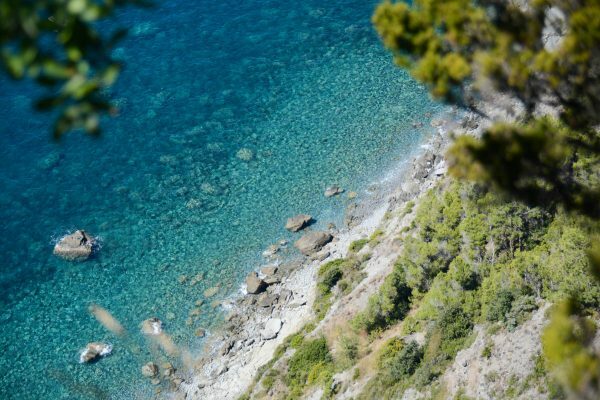 Along the way you can also stop and visit some of the Italian Riviera beaches reachable through narrow walking paths. We decided to visit the Torsei one located at the end of the path in Framura. The next day we treated ourselves with a rich breakfast at the Oasi Hotel before hiking along the path that connects Levanto to Monterosso. The path starts right in front of the eastern portion of the beach in Levanto, it is not easy to go, a bit narrow and rough, but the view is simply amazing. In fact, reaching the goal is not easy, at least for those with children, but the satisfaction once you arrive at your destination will repay the entire effort! I feel like giving some tips to families who want to hike paths in the area: it is true hiking and not a walk, so all members of the family need proper hiking shoes, being a fairly long and difficult path you must carry some water with you and I also recommend you hike early in the morning or in the evening as it is beaten by the sun. As for the little kids, impossible to do it in a stroller, and I would avoid even the baby carrier backpack. In Levanto you can rent a Gozzo, a typical wooden fisherman boat, to fully enjoy the area from the sea. Between breathtaking views and deserted beaches, a dip in the crystalline turquoise sea will be even more magical. We had never driven a boat, we tried to get to the beach of the eggs, where stones are so deeply smoothed by the sea to look like eggs. For those who can’t really think about renting a private boat by themselves, you can always make a day trip on a ferry or a sunset tour on a tourist boat. 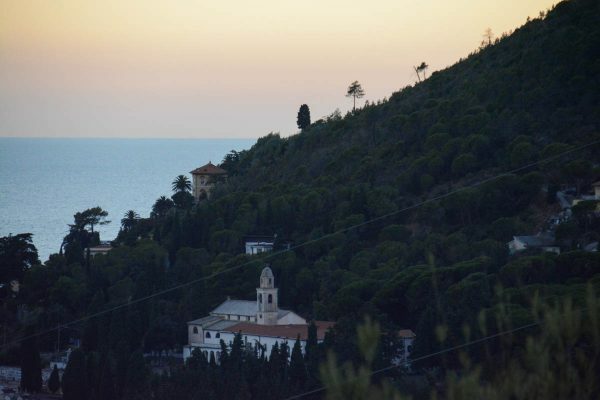 Once a month, from June to September, Levanto’s Tourism Board organizes SenSuoSa, a very special event. 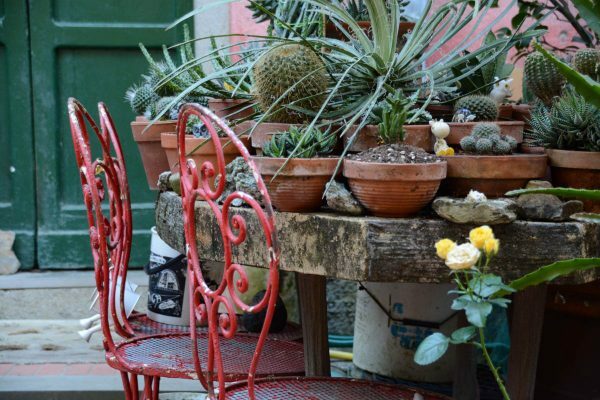 With a local guide you go exploring some of the most beautiful hill hamlets of Levanto. Upon arrival you attend a concert and afterword you enjoy an open air typical dinner tasting only local dishes and wines. It costs 25€ per person and you need to book for it in advance. We managed to visit the villages of Gallona and Ridarolo, attended an accordion concert in the church, and then tasted the trofie al pesto (handmade fresh pasta with basil sauce) and an octopus salad. 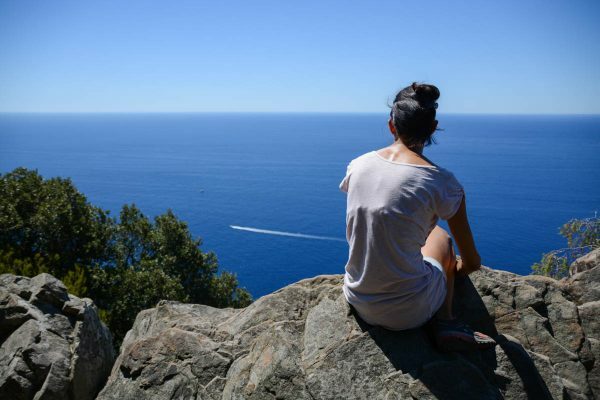 I would describe our family holiday in Levanto as a mix between the emotions of the landscape, those of flavors, a dip in the blue of the sky and the sea, all in one of the most beautiful areas of Italy.